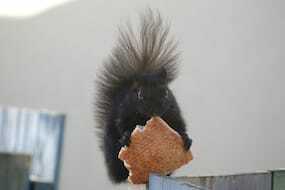 There’s lots of wildlife here in Natal Park, that’s for sure! 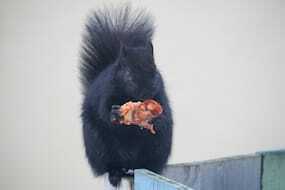 I didn’t even know that squirrels would eat meat, until I had a conversation with the wildlife removal company last year when we had a raccoon give birth to her babies in our attic. 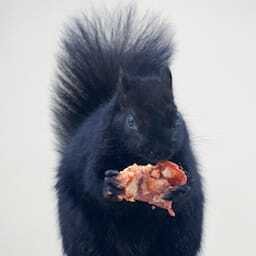 Apparently, raccoons will eat squirrels, and squirrels will eat mice if there is nothing else to eat. 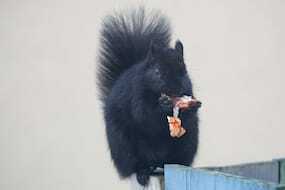 Until then, I thought squirrels only ate nuts! 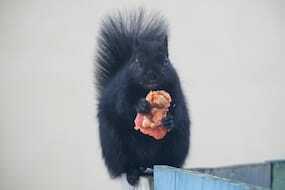 Pizza-Eating Squirrels was published on Thursday, March 27, 2014 at 12:44pm EDT by Daniel Menjívar and last updated on April 11, 2018 at 9:30pm UTC .